Please don’t let the name of today’s dish scare you away – I realize it’s pretty hard to say, but it’s delicious to eat! If you’ve ever visited a Gurudwara (Sikh temple) you may have had this sweet pudding made from whole wheat flour, ghee, and sugar. It’s served to almost every visitor at the temple. 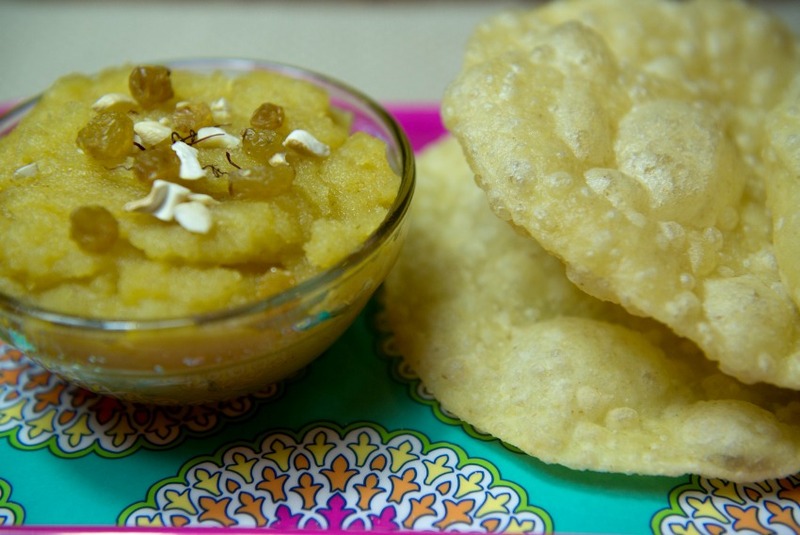 When it’s made for religious services there are many rituals that are observed, in particular, the maker recites a specific prayer the whole time the kada prashad is cooking. However, when we make it at home there are no rules attached to the process and it’s often referred to as just kada in it’s non-religious form. 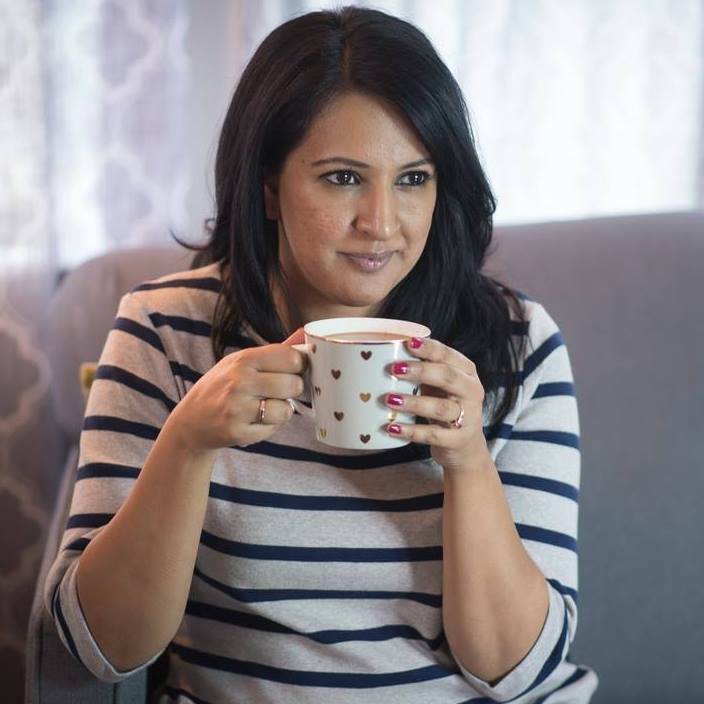 As I mentioned last week, I’m shopping at No Frills for a few weeks and creating some Indian recipes that work on a budget, while test driving the PC Plus program. This week I thought it would be appropriate to make a dessert or something sweet with Diwali just around the corner. 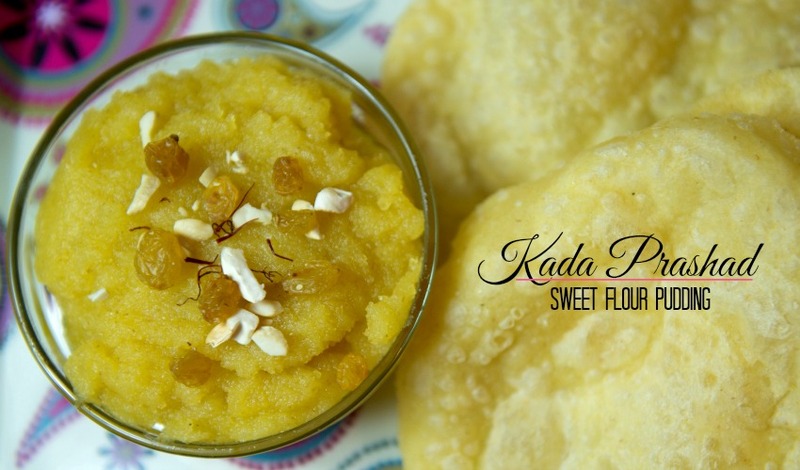 For me, nothing beats kada as a fall/winter dessert – it’s sweet, fulfilling, and best served warm (in my opinion). Even thought I rarely indulge in it anymore because it’s made from wheat flour, I still wanted to share my favourite recipe with you. Initially I was worried about calling kada a budget recipe because you really do have to make it with ghee – there’s no other way to get the authentic taste. Thankfully, I found an 800 gram container of pure ghee at my local Terry’s No Frills for just $9.99. So considering most people have flour and sugar at home, and a simple cheesecake can run you $20-25 for ingredients, I’m calling this one a win in the budget department. Add sugar to water and heat slowly in a saucepan to create a syrup. Do not boil or reduce water quantity. While water and sugar are heating up, heat the ghee in a kadai (heavy bottomed pan), and add the flour. Keep the heat on medium and roast the flour for 8-10 minutes until it gets a reddish glow. Add in the sugar and water syrup and cook for 4-6 minutes until the mixture becomes thick and begins to pull away from the pan. Once you’ve made this recipe a few times you can adjust the thickness of the kada to your liking. 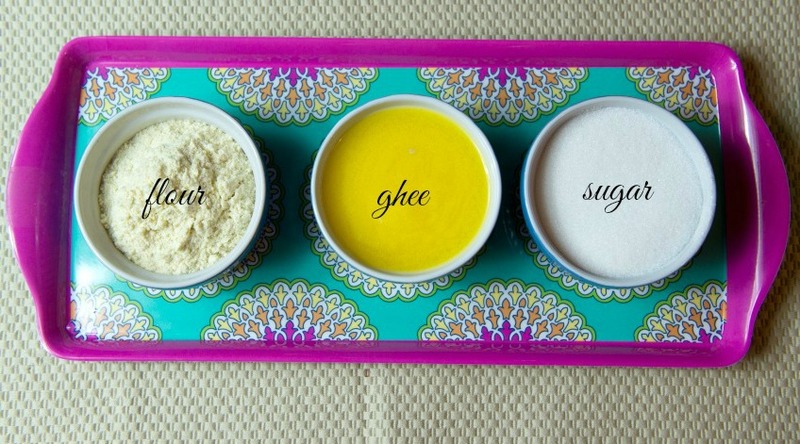 As long as you keep the flour, ghee, and sugar ratio equal you can play around with the water content. One of my favourite ways to eat kada is with a hot puri (fried Indian flat bread), but my poori making skills are non-existent. Luckily, on the day we were shooting these pics, my mom stopped by and made a fresh batch of pooris for me! You can also serve kada on it’s own garnished with some almonds or cashews. Sometimes I even layer it in a dish with kheer (rice pudding) as a special dessert. So that was my budget Indian recipe, but how did I do on part two of my PC Plus Challenge this week? Last week most of my PC Plus offers were for produce related items (which is actually amazing) but my fridge was pretty full of veggies already, so I decided to stock up on some household items. Normally, I do not buy things just because they are on sale if they aren’t on my shopping list, but my offers last week included a few cleaning supplies and toiletry items I regularly use, so I loaded up. I spent $20.61 before taxes on dish soap, all purpose cleaner, laundry soap, toothpaste, and a new toothbrush – before I even tell you how many PC Plus points I got, can you believe all those items cost just $20.61? My grand total for points was 2200 this week, not too shabby right? So far I’m finding that No Frills has really good prices, although there have been one or two things we couldn’t find and ended up stopping at Superstore for; particularly in the toiletries and pharmacy section. The PC Plus “app” seems to be getting much better at reading my purchasing style too. In fact, this weekend I have a bonus offer, if I spend $30 on produce I’ll get 5000 points. This is definitely the first time I’ve been rewarded for buying healthy food because I usually only see coupons for processed food and junk. Have you tried the PC Plus program yet? What are your thoughts?